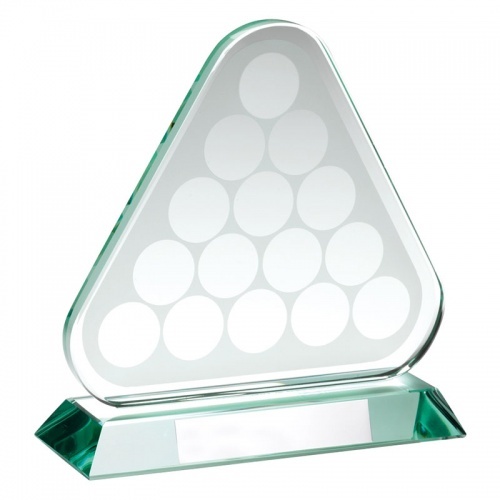 These stylish pool / snooker awards are made in jade glass and feature a triangle shape plaque set on a bevelled base with engraving plate. Standing 6.75in tall, it can be engraved on the base plaque. These awards are supplied in a quality presentation case.